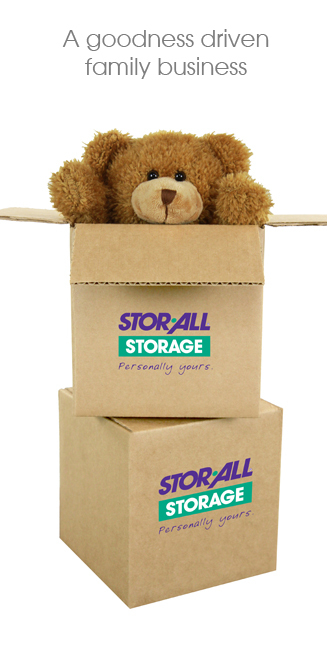 Stor-All Storage has grown into one of the largest privately held self storage companies in the U.S. by providing its customers with clean, friendly and convenient storage solutions for three generations. Check out where the nearest self storage is to you, and give us a call or reserve your storage unit online. Predating even the self storage industry, Stor-All has engaged in the development and operation of self storage facilities for over 46 years. With roots in a company founded in 1957 by two brothers-Norman and Robert Anderson-Anderson Construction built a reputation for quality, along with hundreds of homes and commercial buildings. In the late 1960s, the Andersons were among the first to construct self-storage facilities, which they found met consumer demand for low cost, short term storage. As a result, they founded Stor-All in 1967 to manage the self-storage facilities built by Anderson Construction. In the mid 1970s, Stor-All was a founding member of the Self Storage Association, the organization dedicated to increasing the professionalism, growth and awareness of the self storage industry. The two companies merged under the Stor-All name in 1986. Since the merger, the founders' sons, Jeff and Larry Anderson, who from an early age were exposed to every aspect of the self-storage business, have guided Stor-All. Their leadership and the dedication of a core group of Team Stor-All members have made Stor-All a leader in the self storage industry. With the third generation already at work at Stor-All, customers can remain confident that the people of Stor-All will continue to deliver clean, friendly and convenient storage solutions for years to come.